The New England Patriots are in the Super Bowl. What else is new? Death? Taxes? While it has certainly become one of the most consistent happenings in football, it almost didn’t happen this year. The New England Patriots found themselves in tough against Patrick Mahomes and the Kansas City Chiefs, with a crucial moment coming in the 4th quarter. Flag. Dee Ford lined up in the neutral zone. You may as well end the game right then and there, Brady doesn’t usually miss twice. 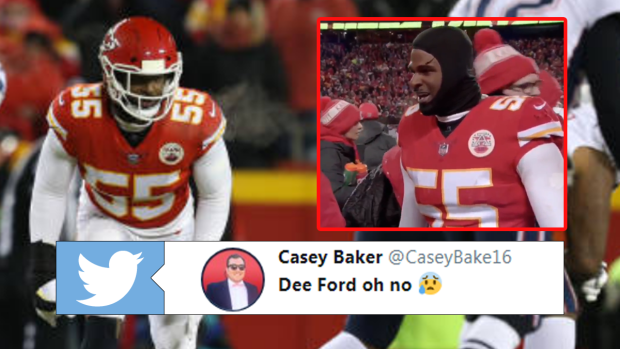 Following the game-changing infraction, Dee Ford seemed awfully confused. In a video that can now be seen as heartbreaking, Ford is there asking what happened. Sorry, Dee. You were definitely offside.